Hillingdon Labour Group is completely and utterly opposed to a third runway at Heathrow airport. At the full council meeting on 8 th September 2016, the Leader of the council moved a motion reaffirming the council’s opposition to a 3 rd runway, but the motion also advocated that a new runway should be built at Gatwick. The Hillingdon Labour group do not believe that the London Borough of Hillingdon has any right to make such a decision on Gatwick, or, have the right to advocate that another community has a runway imposed on them. The various anti-expansion campaigning groups over the last decade and more, have always respected each other’s campaigns and that mutual respect remains to be the approach that the Hillingdon Labour group would like to see taken. The Hillingdon Labour Group could therefore not vote in favour of such a motion, but we did move an amendment, that deleted all references to Gatwick and replaced them with a paragraph relating to the environmental impact that a 3 rd runway would have to Hillingdon residents. We moved this amendment to strengthen the motion and to ensure that the focus of the London Borough of Hillingdon was on the protection of its residents and its communities. The Labour group amendment was rejected by the controlling Conservative group, so the Labour group could not vote on a motion that advocated an expansion of Gatwick airport, we therefore abstained on the vote. 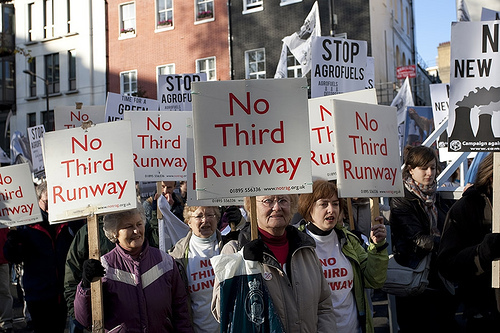 The latest news in the saga of the 3 rd runway has uncovered further significant questions concerning the environmental impact that a 3 rd runway would have. This would seem to confirm that the Hillingdon Labour group was right to try and amend the Council’s motion to include the environmental impact, rather than advocate that another area should suffer such negative impacts. The Hillingdon Labour group will continue its unequivocal support for the campaign against Heathrow expansion and we will continue to support the Conservative administration in the fight against Heathrow expansion, but we cannot support Hillingdon’s Conservative administration in their decision to advocate the expansion of Gatwick Airport. “That this Council notes that the Prime Minister will be chairing the Cabinet Committee on Heathrow and calls upon her and the Government to bring a swift end to the blight of Hillingdon residents living with the constant threat of losing their homes and communities by making a decision on the Airport Commission report as soon as Parliament returns after the summer recess. Council reaffirms its long standing opposition to Heathrow Airport expansion and its commitment to use all the resources at its disposal to put our residents first and resist any proposal that brings harm to our community. Council further notes that a second runway at Gatwick Airport will deliver the UK the same number of passengers, the same number of long haul routes, better UK and regional connections and the economic boost the UK needs, all at a dramatically lower environmental impact, at less than half the cost of Heathrow and with no public subsidy.